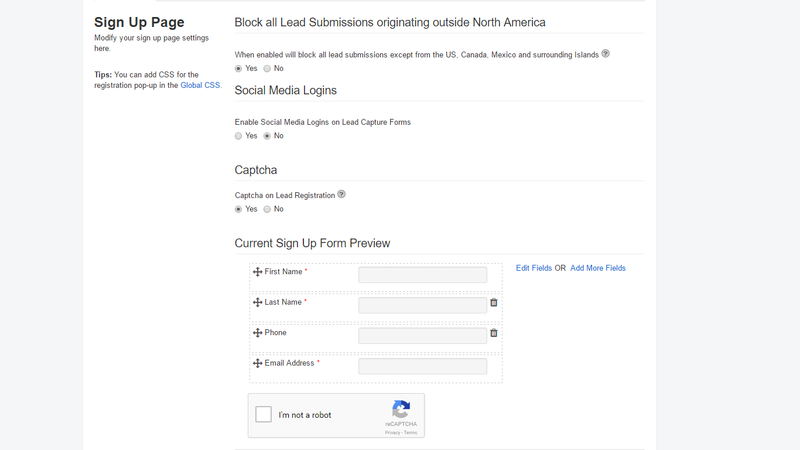 Reduce the amount of spam leads you receive in order to focus on real buyers. Simply turn the captcha feature on to prevent spam from becoming a problem. When users register they will be prompted to enter 6 random letters before clicking Submit.